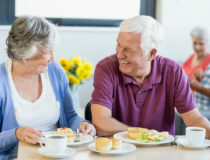 If an older adult you love is contemplating a move to a senior living community, both of you probably have a lot of questions. For most families, financial concerns top the list. And because senior living communities all price their services and amenities a little differently, it can further add to the confusion. 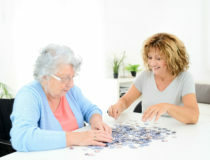 While moving to a senior living community might initially seem to be cost prohibitive, it’s important to know that many of the expenses a senior incurs at home are included in the base fee. At a minimum, meals, utilities, lawn care, trash removal, maintenance, and basic cable are included. Some communities also include laundry, housekeeping, and transportation in the base fee. Many residents of senior living communities give up their car because transportation services are provided. That means no more car-related expenses, such as insurance, gas, maintenance, and upkeep. Other expenses that are eliminated include homeowner’s insurance, home maintenance and repairs, and property taxes. What else do you need to know about financial planning for a senior living community? 1. Costs: Be sure you understand all of the costs your family is likely to incur each month. In many communities, there is a base fee with additional charges that vary depending upon the resident’s individual needs. Ask the staff about the monthly fee and what other expenses you will likely see added to your monthly bill. 2. Rate changes: As the costs of supplies, staff salaries, benefits, and other expenses increase, so will the monthly fees. Ask how much rates typically increase by, how often they are increased, and whether or not there is a cap on how much rates can go up in a single year. Finally, ask how much notice you will be given before rates go up. 3. When needs change: Also explore the costs associated with higher levels of care. If your senior loved one needs additional support, how much will the rate increase? You want to make sure that amount is still a financially feasible expense so your family member doesn’t have to move again when they need more care. 4. Contract: Ask for a copy of the contract and any other financial documents you will be required to sign so you can review them ahead of time. Some families find it helpful to have an attorney with experience in the aging services industry review them, too. 5. Elder care planning: If your older family member hasn’t already done so, this is a good time to work with an attorney to create advanced directives, a will, a power of attorney, and other necessary legal and financial documents. 6. Options for help: Some families aren’t aware of all the options for financing senior living. From long-term care insurance to veterans’ pension benefits (commonly referred to as the Aid & Attendance benefit), there might be a funding solution for your family. You can read more on our Financial Resources & Solutions page. 7.Tax deduction: Talk with your tax advisor to see if you qualify for a tax deduction. While the tax laws regarding senior care deductions are confusing, an experienced financial planner can help you determine if you qualify. It’s one more way to make senior living community expenses more affordable. If you have questions about financing or about what type of care a loved one needs, we invite you to schedule a visit with a Sonata Senior Living community near you. One of our experienced team members will be happy to help!